U12 Warriors co-sponsors Deep C Ltd were proud to award the players with WRFC/Deep C branded training bibs, futsals and kit bags at a recent presentation held at Ash Manor Sports Centre. Deep C currently sponsors the team’s home kit, with the away strip sponsored by IT consultancy Excaliba. 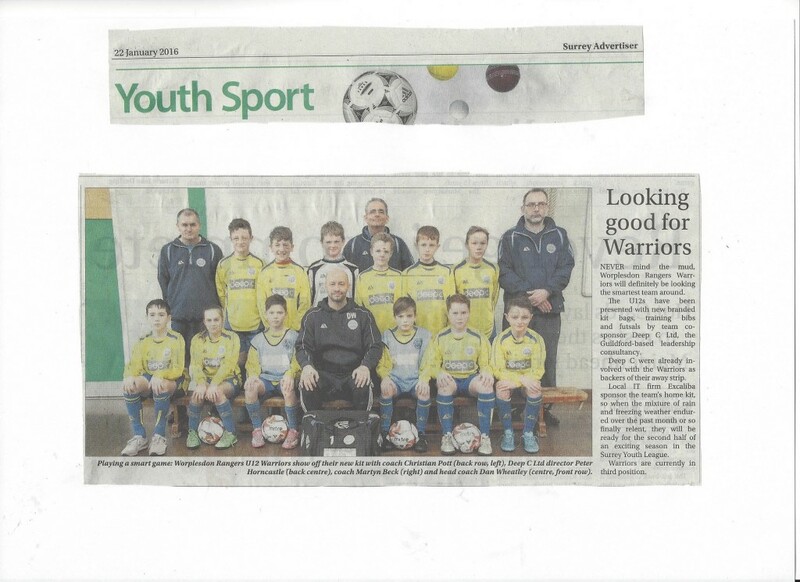 Featured here is the press coverage from the 22nd January 2016 edition of the Surrey Advertiser.